The information provided on the Law Office of Gregory C. Dibsie website is provided for our current and prospective clients who are part of the growing international community of individuals and businesses communicating via the World Wide Web. The materials and information on this site as well as the related links are provided for informational purposes only. They are not intended as and do not constitute legal advice and should not be acted on as such. The materials and/or links are also not the legal opinions of Law Office of Gregory C. Dibsie or any of its attorneys or clients, nor are the materials represented as being all-inclusive, correct, complete or up-to-date. No one should rely on any information on this site or its links. We suggest, instead, that you seek the advice of an attorney with respect to any matter contained in the website or its links. The posting and periodic updating of this website and its links are not intended to create, nor do they create, an attorney-client relationship between Law Office of Gregory C. Dibsie and you or any other person. You should not act or rely on any legal information on the World Wide Web without obtaining the advice of an attorney. We will be pleased to communicate with you by e-mail. However if you communicate with us through this site, you should know that Internet e-mail is not secure. You should not send sensitive or confidential e-mail messages unless you are certain that you have adequately encrypted them. Furthermore, if you communicate with us through this internet site, or through other means, about a matter in which you have not retained the professional services of this firm for which you have received a fee agreement, your communication will not create an attorney-client relationship and may not be treated as privileged or confidential. We have made every effort to comply with all applicable legal and ethical requirements pertaining to law firm websites. Law Office of Gregory C. Dibsie does not seek, nor are we attempting to obtain, the representation of clients based on their viewing of any portion of this site that does not comply with applicable legal and ethical requirements pertaining to law firm Web sites. Nothing contained in this site should be construed to represent that the quality of Law Office of Gregory C. Dibsie's legal service is greater than that provided by other lawyers. Prior results cannot and do not guarantee or predict a similar outcome with respect to any future matter, including yours, in which a lawyer or law firm may be retained. Unless otherwise specifically stated, the attorneys listed in this Web site are not certified with respect to any specialty area of practice by any board of legal specialization, commission on continuing legal education, or similar body. Some of the material on this site contains links to other Internet resources. The links are provided as citations and are not intended to state or imply that Law Office of Gregory C. Dibsie is affiliated, associated with, or legally authorized to use any trade name, registered trademark, logo, legal or official seal, or copyrighted symbol or material contained in the link. 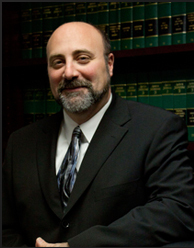 Our office in Washington Township (Gloucester County) New Jersey, is designated as our principal office and Gregory C. Dibsie is designated as the attorney responsible for this website. Certain jurisdictions may require us to inform you that this website may be considered an advertisement.